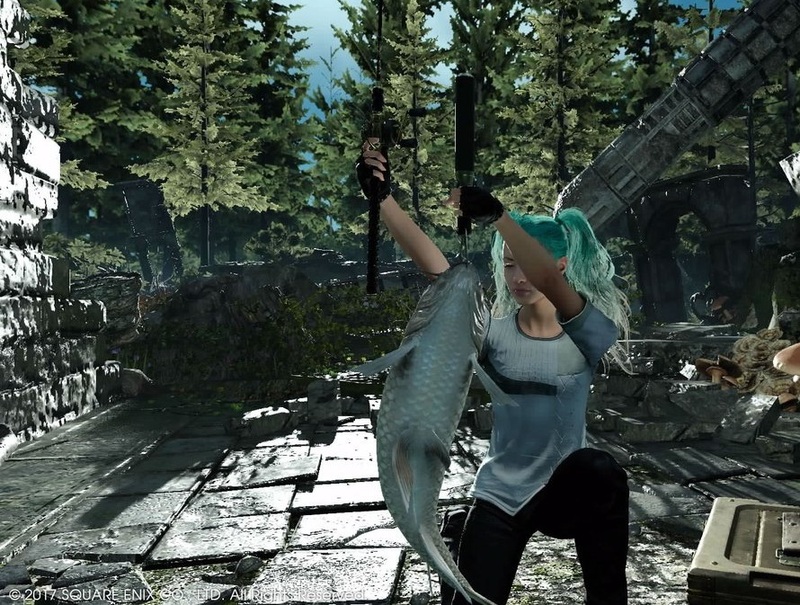 Of all the things that Final Fantasy can be spun off to, a VR-enabled fishing game is the last thing I would have expected. 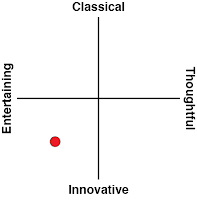 And yet it’s here, and it’s really very good. 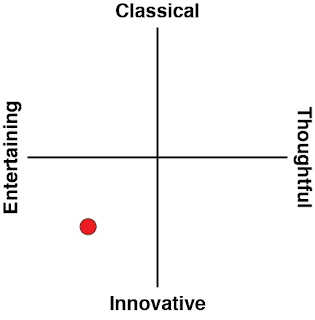 Related reading: Matt's review of the base Final Fantasy XV game. 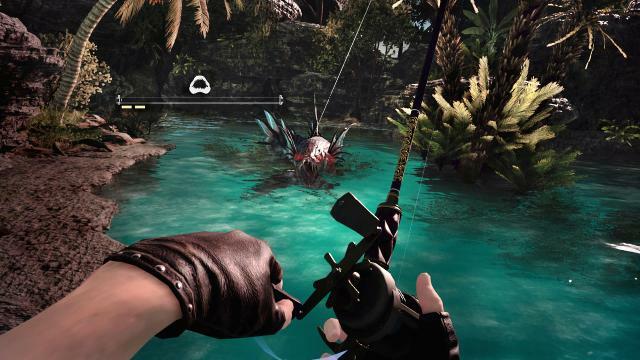 Monster of the Deep: Final Fantasy XV is a complete fishing game. The core gameplay loop involves catching fish to earn cash to improve your fishing rod, lures, and the like so you can catch better fish. This loop has been standard for “serious” fishing games for many years now, and that has been the case because it’s an effective, addictive loop. But Monster of the Deep does much more than that. It has a complete story mode, for a start, as you would expect from a Final Fantasy game, but it’s certainly unusual for a fishing game. The narrative itself isn’t spectacular; for some reason the waterways of Final Fantasy XV are being infested with demons, and it’s your job, as a hunter-fisher person, to put these demons down, and generally clear out the water from hostile monsters. That narrative is used as much as an excuse to have your player-created protagonist to meet and chat with the various characters from the Final Fantasy XV universe. Now, realistically speaking Noctis and co don’t really need to be in this game – their role in Monster of the Deep is more one of fanservice than an active contribution to the storytelling, but it’s fun to catch up with them nonetheless. 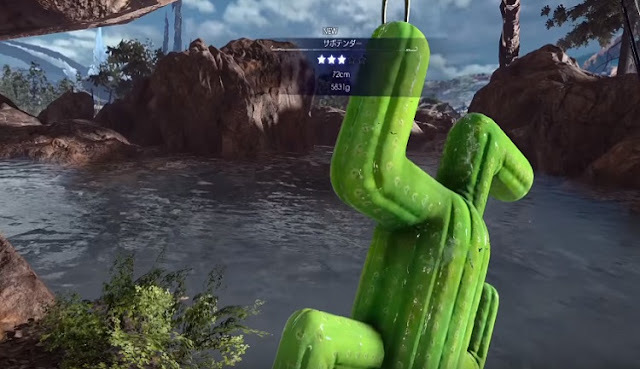 The benefit of setting the game in the world of Final Fantasy XV is that sense of familiarity about the environments creatures that hang out around lakes. A chocobo here, a goblin at night over there; it’s all very authentically Final Fantasy, and when observed through the VR lens, it becomes all the more real. This will be as close as I get to a chocobo any time soon, I suspect, and while I can’t ride him, I did appreciate seeing him. All the fishing gear has been coated with a can of Final Fantasy paint, too; cactuar lures, Moogle alternative costumes, the works. Again, you could paint this stuff over with a generic fishing game theme and it wouldn’t play any differently, but the consistency to the Final Fantasy theming is very enjoyable. The big addition to the game that other fishing games don't have - aside from the narrative - is the boss battles. During story missions, after catching enough regular fish, a demonic creature will appear. Rather than catch these outright, you’ll first need to wear them down by shooting them with a crossbow. Each of these demon fishes has a different attack pattern, and general involve some light puzzle solving in order to wear them down faster. Once the fish has been reduced to zero health, you then still need to reel it in. These boss battles add such a good dynamic to the base fishing action, and while I do enjoy the occasional fishing game, it’s going to be difficult to go back to those unless they also spice up the gameplay with some kind of boss battle of their own. In addition to the story mode, there are all kinds of ways to play Monster of the Deep. You’re able to take on “hunts”, which involve tracking down specific fish at specific waterways. There are also “tournaments” that involve actual competition against other fishing people. Each of these play modes add a slight spin on the basic fishing game, and helps build the impression that Monster of the Deep really is a premium edition to the expanding Final Fantasy XV world. Skyrim’s recent VR outing was a recipe for disaster if you are inclined to get motion sickness from VR, but Monster of the Deep will be something most people can enjoy. It’s built around the VR experience, rather than being adapted from an existing game, for a start, but more importantly, fishing’s a largely stationary sport, and that makes it perfect for VR. Motion sickness tends to be a result of the player character moving around, but here they just need to tilt their head around. It’s a gorgeous, immersive world, too, as you would expect from Square Enix and this franchise. There is the odd occasion where you’ll seem to be fishing through a log or stone in the water, which is a surprising omission from a company that is usually so incredibly detail orientated. Aside from that, though, the game shows that Square Enix will do some incredible things with VR in the years ahead. The only real issue I have with the game is the act of reeling the fish in itself. As the fish struggles, it will thrash back and forth, and try leaping out of the water. The inputs to prevent this from breaking the line is a little imprecise, and the feedback isn’t great on whether you’re actually doing well at fighting with the fish. It’s a minor complaint in the grand scheme of things, but there are more serious fishing games that have got that battle between fish and human down to a fine art, and this isn’t quite up to that standard. But then Monster of the Deep isn’t designed to be a serious fishing simulation. It’s a relaxed, laid back and generally amusing side story to the Final Fantasy XV universe, and it throws some great variety and boss battles into the gameplay mix. It’s not the essential VR experience, but it is a delightful little game that fundamentally benefits from the VR platform.